Fabric: Fronts, 100% wool leftover yardage from a petticoat. Back, wool broadcloth left over from remnant (is that a remnant remnant?) purchased for Mr S’s short jacket. Lining, heavy-weight linen. Year: You can call it 1813. 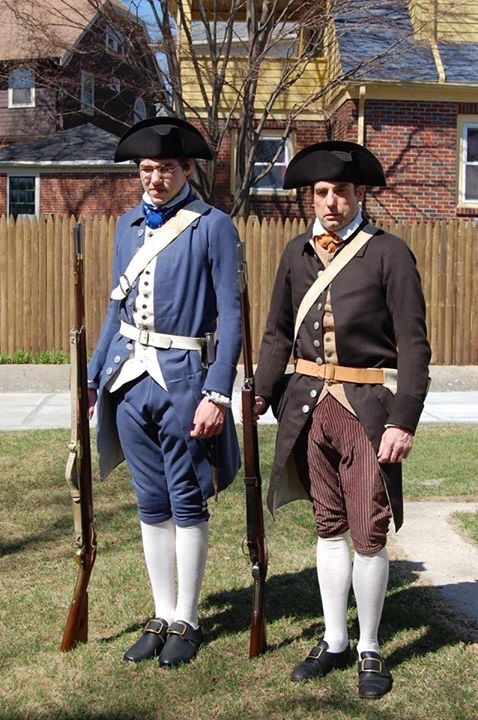 This style works for a couple of decades, though it will be worn for 1799 this weekend. Time machine, anyone? Snazzy, right? This color is closer to the actual color. Notions: 10 domed brass buttons with rims; silk buttonhole twist, both Wm Booth Draper, and some interfacing from the Franklin Mill store. How historically accurate is it? Well…the pattern has good documentation and the fabric is within reason for the period. 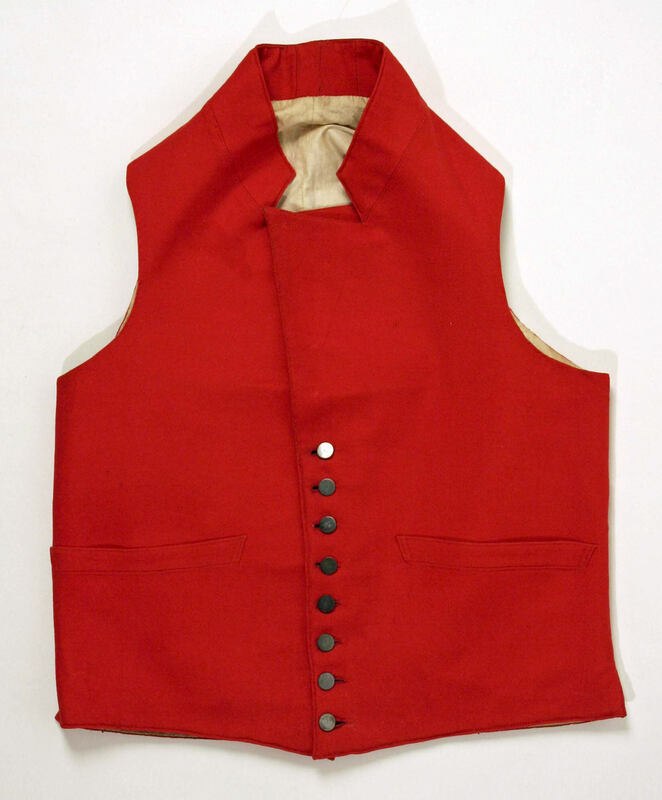 The waistcoat is entirely hand-sewn, and the coarse linen pocket linings match extant garments in collections. So I know that’s good. And as it turns out, I completely and inadvertently made…this! So excited to find this! More excited than you’d expect! 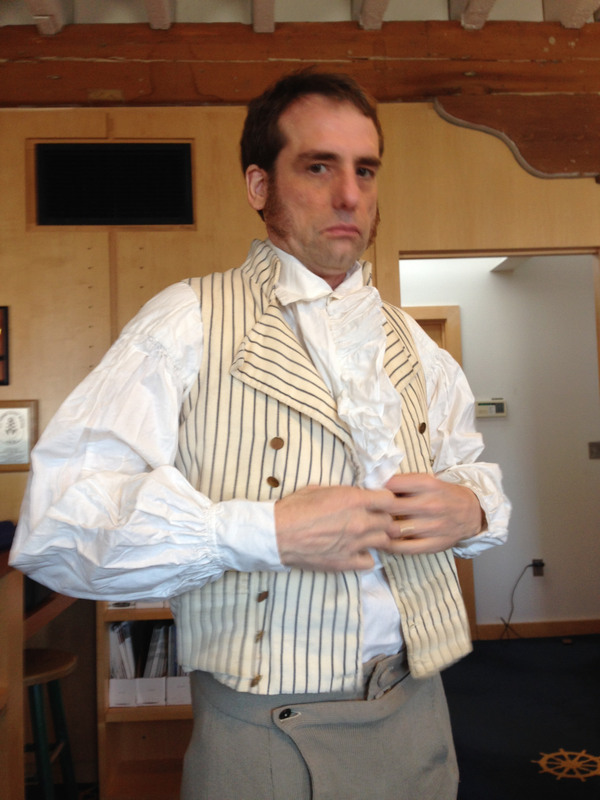 First quarter 19th century means 1813 is A-OK! !Also, that waistcoat is HOT! So I think I have achieved pretty accurate, even if it will be used in a time machine back to 1799. Hours to complete: This was much faster than the first one. 12 hours for cutting and sewing, with about 3 hours just on button holes. Total cost: Since I used fabric left over from a petticoat and the jacket, I’d say the cost was really only in the buttons, so $14.50. I haven’t sewn anything in nearly a month, and it has been delicious. Really. No buttonholes, no hems, no seams. Nothing! I ripped a button off my winter coat and pocketed it, people. I didn’t sew it back on. That’s cold turkey. But spring beckons, or so I’m told it will, eventually, and the sewing must start again. There are many, many things I want to make and several I need to make. Wants and needs…and more meditation. I’ve been watching the Historical Sew Fortnightly that The Dreamstress is running, and I’m in. What the heck! 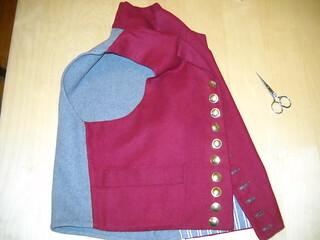 I need another kick in the pants, breeches, what-have-you, to get back to sewing. I really do enjoy it, so why not? 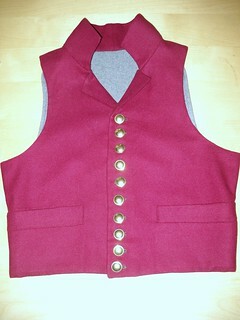 Looking ahead, I see a possible 1813 garment in my future. How about this 1813 Winter Walking Dress? I could make it just for fun, which would be a good task for me.